Hi everybody! This is my second blog dedicated to helping proactive ‘ordinary people’ and their teams make extraordinary impacts by initiating or influencing constructive change. These blogs share stories of amazing change agents and provide insights on how proactive people can more successfully make a difference by leading ‘from the middle.’ This is the first of a two-part blog on the incredible power of teams. Revenue Cutter Bear – Alaskan Coast – 1897: The Revenue Cutter Bear was famous as the face of the federal government in vast and often lawless 19th century Alaska conducting law enforcement, dispensing justice, providing medical attention, famine assistance and surgery to native Alaskans, prospectors, whalers and missionaries. During an 1891 famine to help starving native Alaskans, the Bear’s colorful and controversial commanding officer, Captain “Hell-Roaring” Mike Healy, sailed to Siberia and bought a shipload of reindeer at his own expense to be domesticated and serve as a source of Alaskan food, clothing and transportation. The foresight and wisdom of his initiative was proven a few years later. 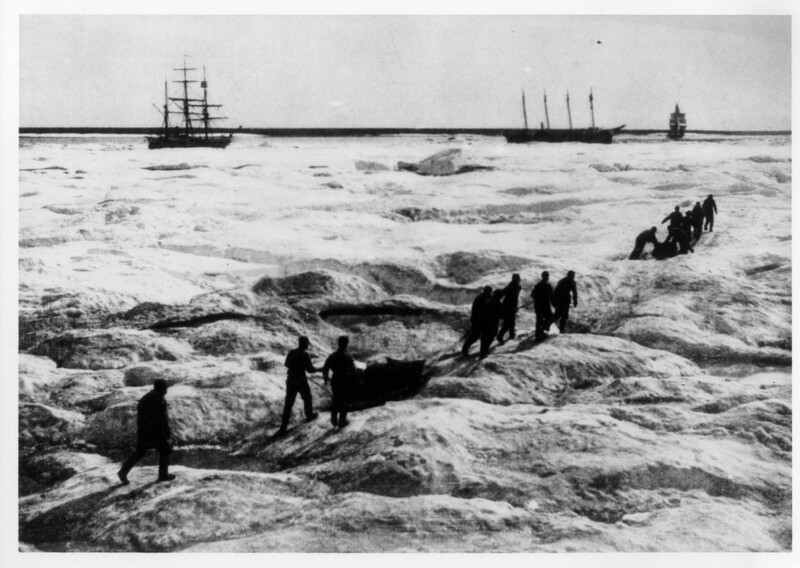 In the fall of 1897, eight whaling ships were trapped in early Arctic ice off Point Barrow, Alaska. The whaling companies, worried that the 265 crewmen wouldn’t survive the winter, asked President William McKinley to send a relief expedition. The cutter Bear was ordered to go to the rescue – the first attempted winter Arctic voyage. The Bear sailed north in late November, but by December 14th, had gone as far as she could due to the thick ice. With no chance of getting through, they put a party ashore near Cape Vancouver to attempt an overland rescue across 1500 miles of frozen wilderness to Point Barrow. The Bear’s executive officer, LT David Jarvis, led the party, with LT Ellsworth Berthoff, Surgeon Samuel Call and three others. The team purchased dog teams, sleds, guide services and nearly 450 domesticated reindeer from native Innuits and started north with sleds pulled by dogs and reindeer. Driving the reindeer herd ahead of them in storms and icy winds while enduring temperatures as low as -45 degrees Fahrenheit, the team reached Point Barrow 3-1/2 months later on March 29, 1898. The arrival of the relief team and 382 surviving reindeer was a miracle to the 265 rescued whalers! Epilogue: For their epic Alaskan rescue, Jarvis, Bertholf, and Call received a Congressional gold medal. Jarvis was promoted and later assigned commanding officer of the Bear. Today the Coast Guard’s most prestigious leadership award is the Jarvis Award. Berthoff went on to became the Coast Guard’s fourth Commandant. 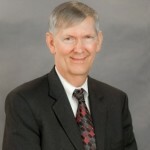 Teams as ‘Force-Multipliers’: As discussed in my first blog (“Making a Difference”) each of us is a leader/influencer and can make a positive contribution, but teams magnify our ability to achieve a significant impact due to the expanded knowledge, experience, relationships and capabilities of our collective team. It is often said “No one of us, is as smart as all of us”. That statement should be “No one of us, is as experienced, knowledgeable, networked and capable, as all of us.” This increased ‘reach’ makes teams ‘force multipliers’ that are many times more effective than their individual members. Hint: When your team is faced with a daunting challenge, brainstorm and ask each other questions – “What if …. ?” and “Why can’t we …?” Generate creative solutions, then implement them! This article appeared first on my LinkedIn page, where it was published 6 March 2017.